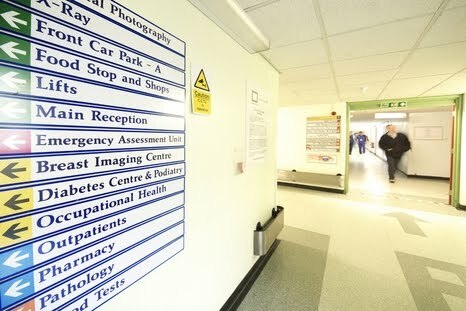 Yesterday morning, John and I were in the Outpatients section of Banbury's Horton Hospital. He was due to see the hand consultant there about his injured little finger. We had a rather long wait for the appointment, so I couldn't help but listen and watch what was going on around us. And sitting near Outpatients Reception made that all the more interesting. At one point, an elderly couple approached the receptionist. I couldn't hear what they asked but certainly could hear her response. She gave the couple directions to the "Cardiac Investigations" department, which sounded like a complicated trip. She apologized that it was such a long walk from Outpatients Reception. John heard her too. We decided that perhaps the walking distance is actually part of the cardiac investigation. If you can survive the walk over there, then your heart is probably ok.
Ahhhh...the joys of the NHS! Really enjoyed your observations and writing this blog.